COSMICA PR – Toulouse, France (May 26, 2011) – Garrett Smith, founder and president of Cosmica Spacelines and Khaki McKee from XCOR Aerospace today revealed experiment development and integration opportunities for commercial, educational and government suborbital research missions at the 3AF Toulouse Midi-Pyrenees conference. The conference, held at Airbus’ plant in Toulouse, France, is a joint event organized by the Royal Aeronautical Society Toulouse Branch and the Aeronautics & Astronautics Association of France (3AF) Toulouse Midi-Pyrenees Chapter. Plans to utilize the XCOR Lynx for science and technology payloads have increased with the broadening interest in private suborbital spaceflight. Smith and McKee spoke about the flourishing business opportunities of research and education missions onboard the Lynx reusable suborbital spaceplane. Supporting technology development and fundamental science, Cosmica offers full payload integration services to support innovation through recurrent suborbital flight opportunities. The Lynx provides an affordable and accessible alternative to sounding rockets and orbital secondary payloads, providing educational opportunities to the space industry’s future leaders. From student research to space hardware prototyping and testing, the benefits of repeat access in a real space environment have a broad range of applications across academia and business. With frequent flights and standardized payload interfaces, the Lynx becomes an extension of the classroom or research laboratory that is accessible even to the most modest of budgets. Headquartered in Colomiers, France on the outskirts of Toulouse, the space capital of Europe, Cosmica was founded in July of 2010 by visionaries who share a passion for space travel and the opportunities it provides. Smith has actively promoted commercial spaceflight since founding the Space Tourism Working Group within the Toulouse Midi-Pyrenees Chapter of the 3AF in June 2006. He was a founding investor in Benson Space Company and he attended the International Space University in Strasbourg, France. The dedication of the company founders to a future of boundless potential led to a culmination of plans and ideas to create Cosmica Spacelines, a company that provides repeat access to space. COSMICA SPACELINES: Cosmica Spacelines helps unleash the boundless potential of your creativity by removing the traditional space industry barrier of rare flight opportunities. 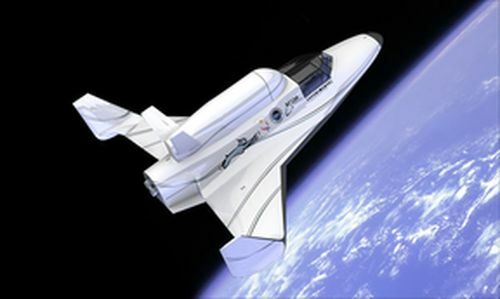 Whether it involves technology development or fundamental science, Cosmica offers recurrent suborbital flight opportunities onboard XCOR’s Lynx spaceplane with full payload integration support so that you can truly focus on the innovation. Let Cosmica give wings to your inspiring ideas. Complete details are available at www.cosmicaspacelines.com.